Home » World » USA & Canada » Schwarzenegger reveals he Fathered Illicit Child! Schwarzenegger reveals he Fathered Illicit Child! Arnold Schwarzenegger revealed that he had fathered an illicit child(love child). He has also said that this is the reason for the split with his wife of 25 years, Maria Shriver. former California Gov. 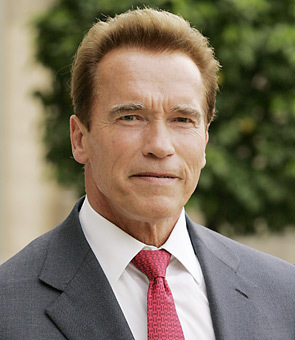 Arnold Schwarzenegger has acknowledged that he fathered a child with a member of his household staff. Shriver moved out of the family’s Brentwood mansion earlier in the year after Schwarzenegger acknowledged the child is his, The Los Angeles Times reported Tuesday. “After leaving the governor’s office I told my wife about this event, which occurred over a decade ago,” Schwarzenegger told the Times in a statement that also was sent to The Associated Press early Tuesday. “I understand and deserve the feelings of anger and disappointment among my friends and family. There are no excuses and I take full responsibility for the hurt I have caused. I have apologized to Maria, my children and my family. I am truly sorry. The Times did not publish the former staffer’s name nor that of her child but said the woman worked for the family for 20 years and retired in January. In an interview Monday before Schwarzenegger issued his statement, the former staffer said another man — her husband at the time — was the child’s father. When the Times later informed the woman of the governor’s statement, she declined to comment further. “We are very fortunate that we have four extraordinary children and we’re taking one day at a time,” he said at a Los Angeles event marking Israeli independence. Their children range in age from 13 to 21. Since his term as California governor ended in early January, Schwarzenegger, 63, has hopscotched around the world, his wife nowhere in sight. While the “Terminator” star appeared confident about the future since exiting politics, cutting movie deals and fashioning himself as a global spokesman for green energy, Shriver, known for her confidence, seemed unsettled. Steve Jobs In 'Ghostbusters' Spoof 'Bluebusters'! Girl with IQ of 161, That's Higher Than Einstein! Next: One in 14 Downloads is Malicious! Christina Ricci & James Heerdegen Married? Keira Knightley & James Righton Engaged!